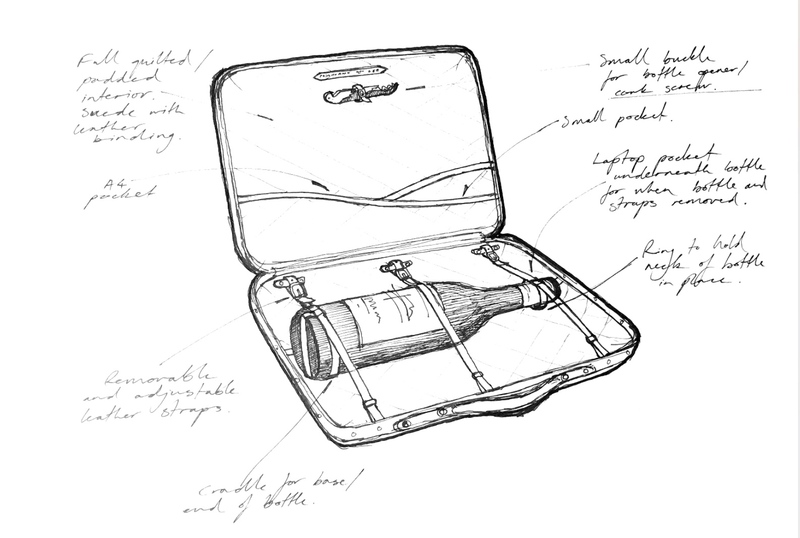 “Good wine is a good familiar creature, if it be well used.” Said William Shakespeare. 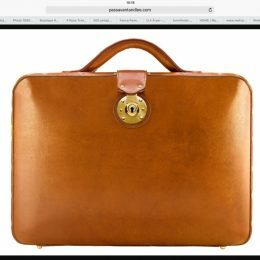 And what better use could be found, other than to fund raise whilst enjoying great motoring and dining in superlative locations? 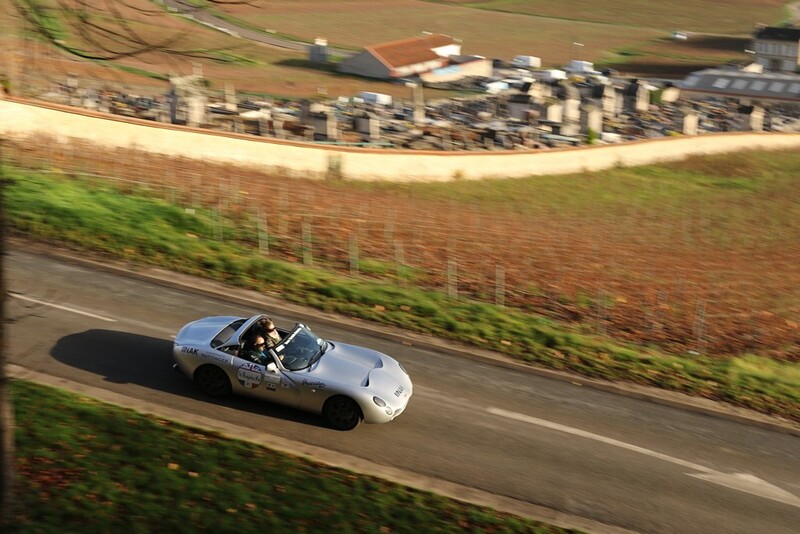 The 60 participants in this year’s Beaujolais Run® – being run for the 46thtime since its inception in 1970 – may well take heed of Shakespeare’s words over five days as they encounter famous vineyards, chateaux, historic cellars and world renown motor racing circuits, whilst also experiencing some amazing driving through the UK and France. The Run prides itself on its unique, unprecedented access to venues, wine makers, vehicles and experiences, and in a five day fund raising extravaganza, this year’s The Beaujolais Run® will be starting with lap of the atmospheric Goodwood Motor Circuit led by the Aston Martin DB11, visiting the elegant surroundings of The Royal Automobile Club, Woodcote Park. 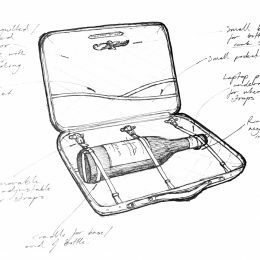 Having crossed via Eurotunnel, competitors will spend time with the Taittinger Champagne family in Reims, and join the mayor of Beaujolais for dinner and the release of the 2016 Nouveau vintage. Two and four-wheeled World Champion, and Patron of the Beaujolais Run® – John Surtees OBE – will be supporting, as will other famous motor racing faces, and in the unique style of the event, there will be plenty of surprises for the Run’s participants and guests alike. Covering some 1,300 miles, the heart of the Run is a navigational trial, designed to give a level playing field for all types of vehicles, be they classic cars, supercars, Classic Cars, off-roaders, daily drivers and/or touring motorcycles of any age. With navigation classes for ‘maps only’ and ‘any assistance’ (satellite navigation, etc. ), the Run’s participants are assured fun and frustration as they try to cover the course in the shortest distance to win the coveted ‘P2’ position on the following year’s start line. P1 is reserved for the highest fundraising team. 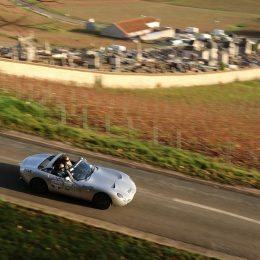 All crews will head for deepest burgundy and return, aiming to be the first that brings back the Beaujolais after its midnight release. The Beaujolais Run® supports the Henry Surtees Foundation (HSF), with no any deductions whatsoever removed for the annual event to support Air Ambulance. A staggering 69 lives were saved in the first twelve months when the HSF and Run funded vital blood transfusion equipment, plus an integrated supply network with air ambulance support. 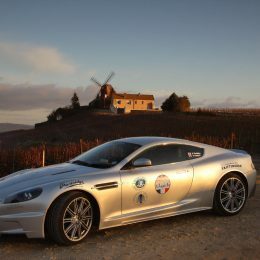 The Beaujolais Run® is unusual in that 100% of monies raised benefit charity with no deductions. Speaking in 2010, when appointed as the first Patron of The Beaujolais Run®, John Surtees OBE said: “When I was asked to become a patron, the answer was not a difficult one. 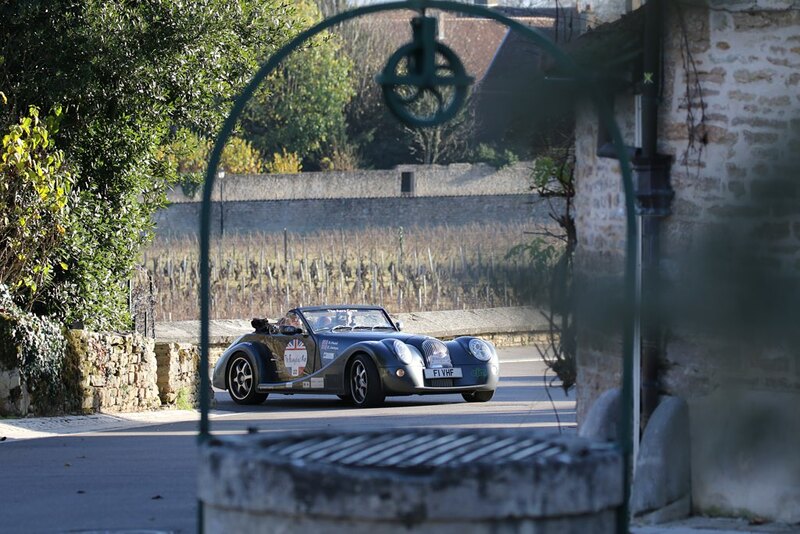 The opportunity of being involved with an event that includes travelling on fine French roads, through superb villages and visiting châteaux, together with superb wine, Champagne and food, was hard to resist. The important point however is that all proceeds go to charity. I have to thank all concerned for nominating the charity set up in the name of my late son Henry. 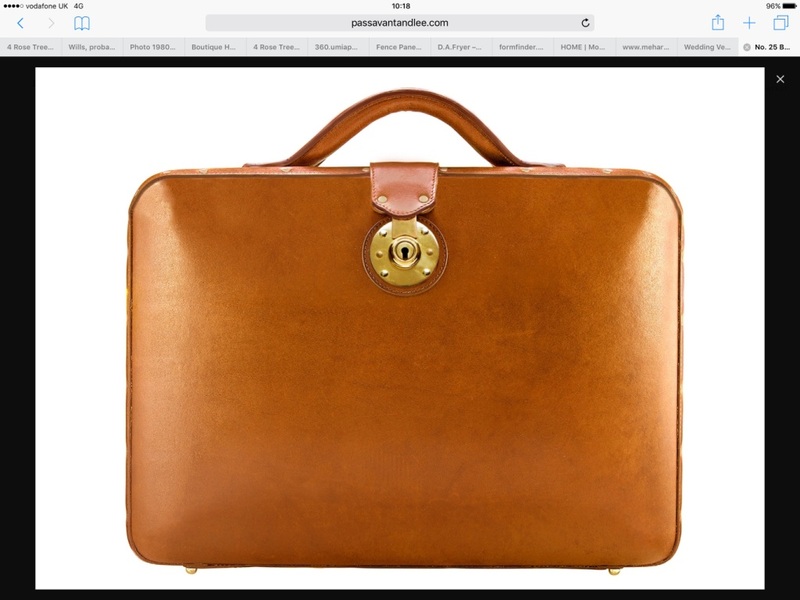 I will certainly ensure that every penny counts in helping causes for those that are less fortunate than ourselves”. 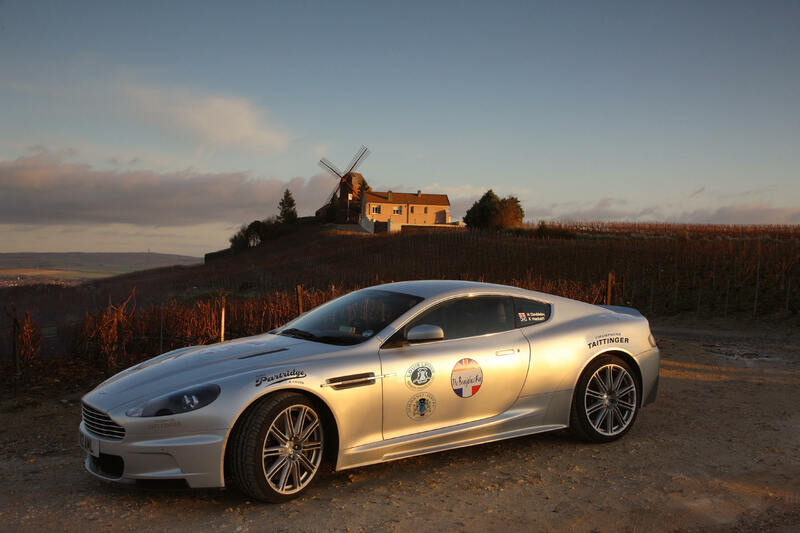 The Beaujolais Run® 2016 will be generously supported by a number of key partners, including John Partridge and Co., Passavant and Lee, Champagne Tattinger, Louise Latour, Rose and White Tailoring, The Review and Screaming Eagles, as well as Harwoods Aston Martin,Ferrari North Europe, Bering Ice Vodka and Artemis.